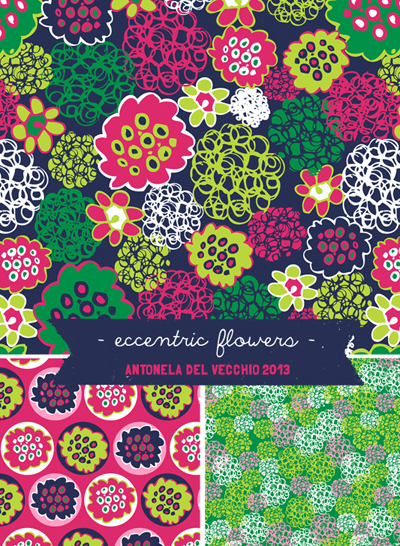 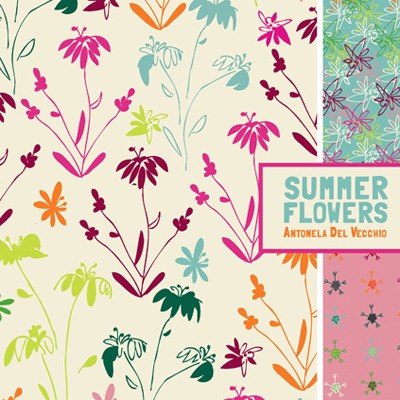 rachel taylor from the e-course 'the art and business of surface design' has sent me over a selection of work from the most recent students to complete module 3. the colourful flowers above and below are by antonella del vecchio. 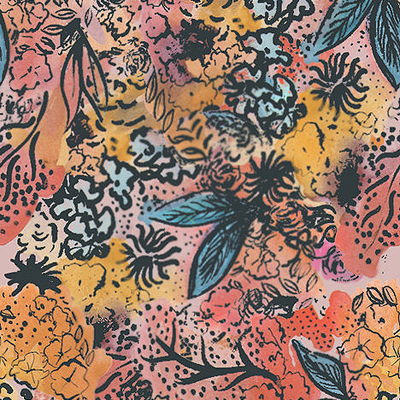 below : lovely losely drawn blooms by trina esquivelzeta who can be reached via email here: trina.esquivelzeta@btopenworld.com. 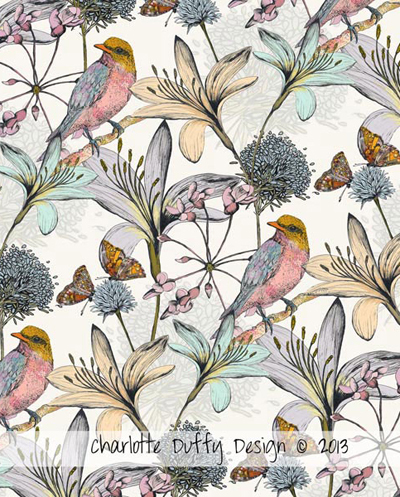 below : two delicate and detailed bird prints from charlotte duffy. 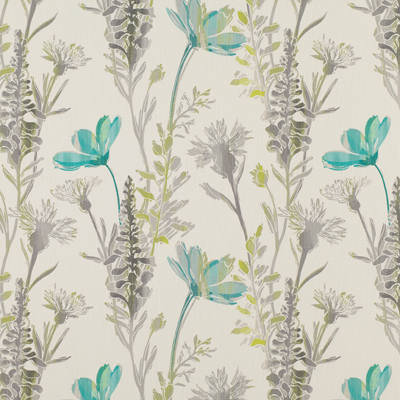 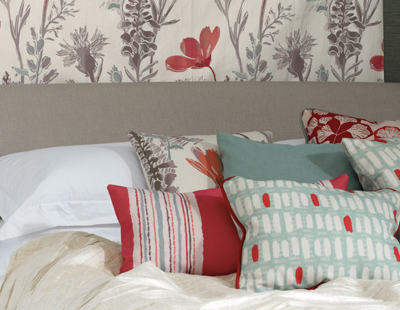 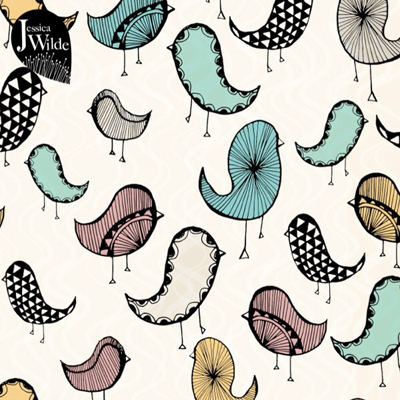 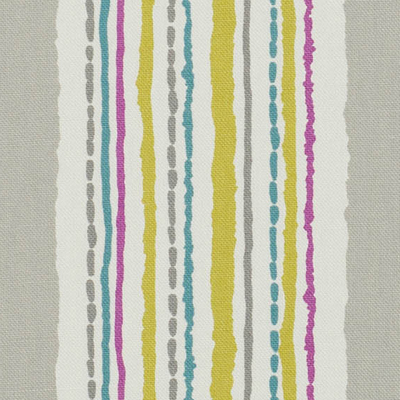 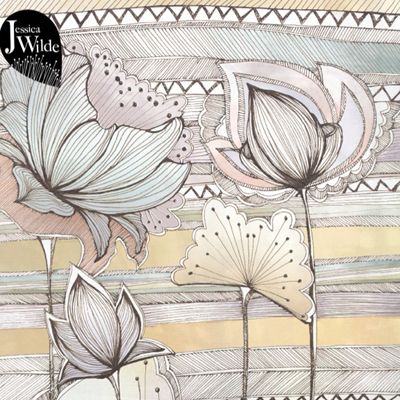 below : quirky designs in muted colours from jessica wilde. 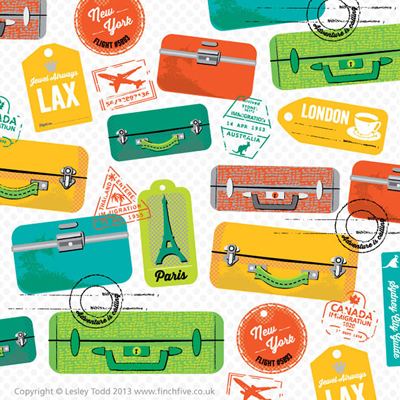 below : two designs from lesley todd one featuring stylish flowers and the other novelty luggage labels. 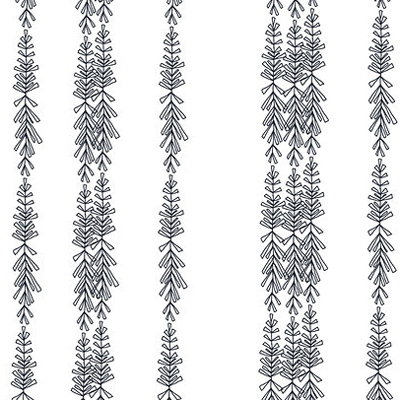 below : detailed designs by jan sheppard of patternmuse. 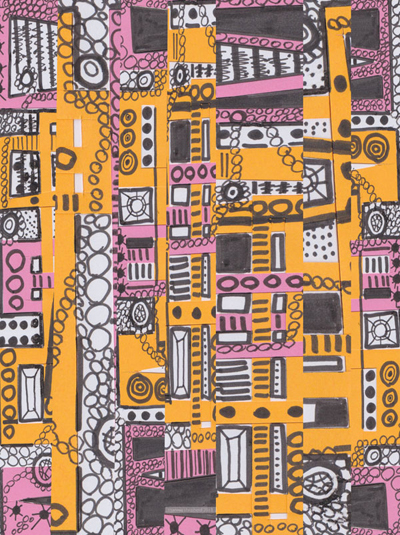 the first is based on abstract buildings and was made from doodles on cut up paper. 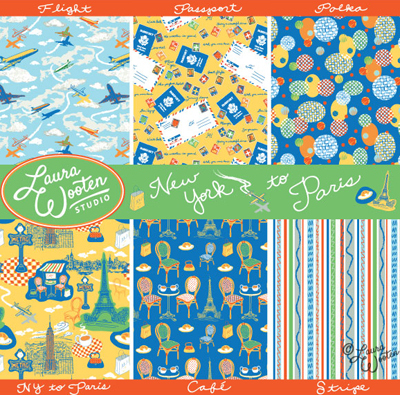 below : a fabulous co-ordinated collection called 'new york to paris' by laura wooten. 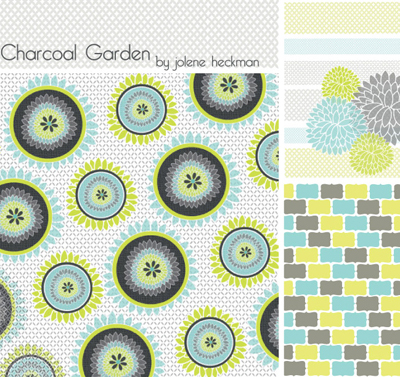 jolene heckman is another graduate from the ABSPD course who wrote in to say that she is trying to get her designs 'out there' whilst working from home with two little ones. 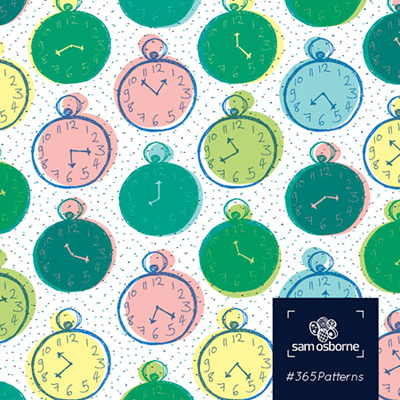 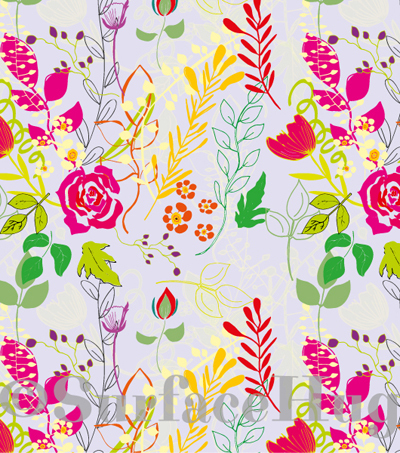 you can see jolene's blog with lots more patterns online here. 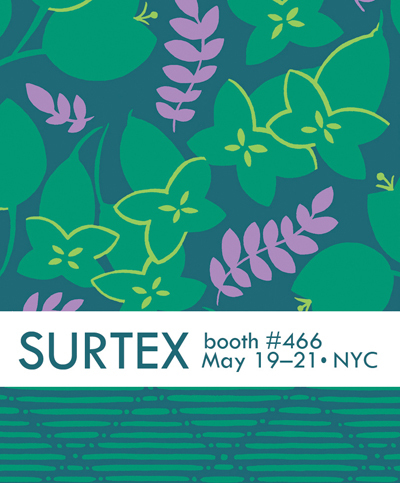 leah hoelscher is making her surtex debut this year in booth 466. among leah's favourite themes are floral, nature, food, geometric, tribal and, naturally, travel. 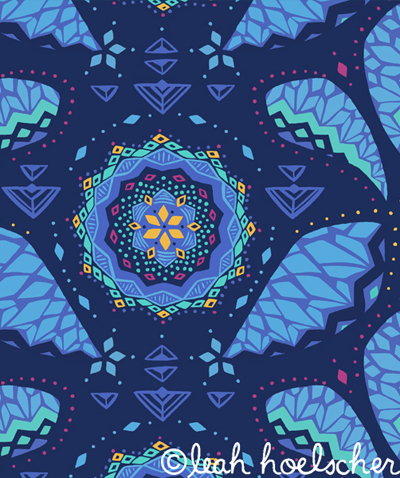 she will be showcasing more than a dozen never before seen collections consisting of coordinating repeat patterns, illustrations, icons, borders and hand lettering. 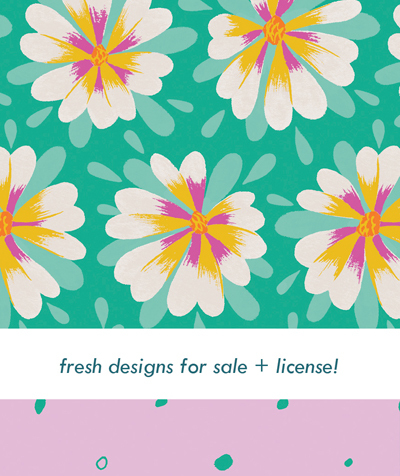 all of the designs are hand-painted with gouache in her signature fresh and energetic style. 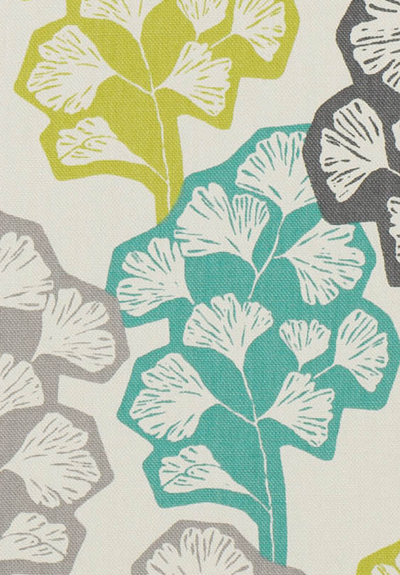 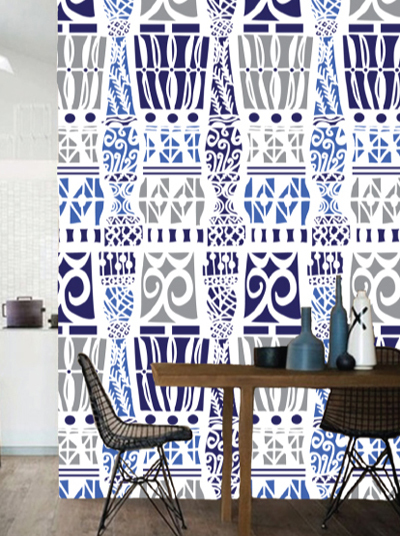 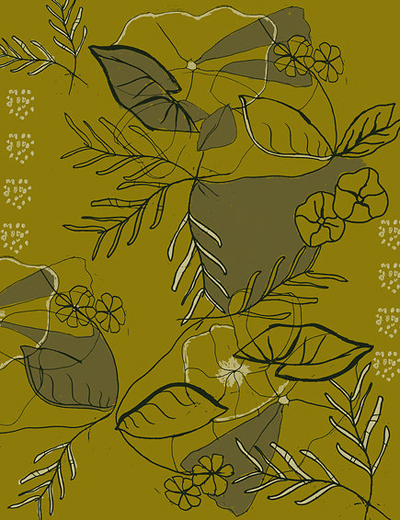 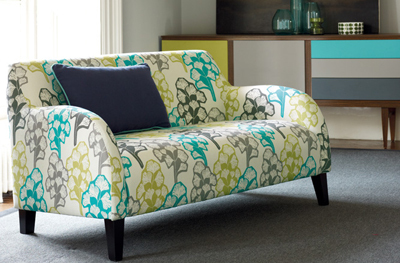 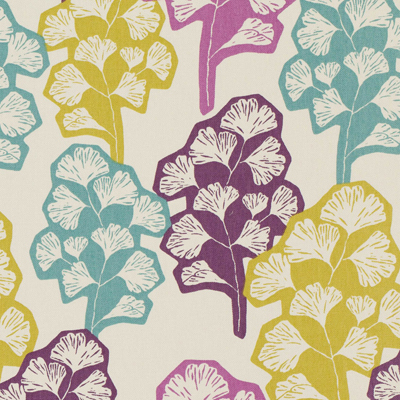 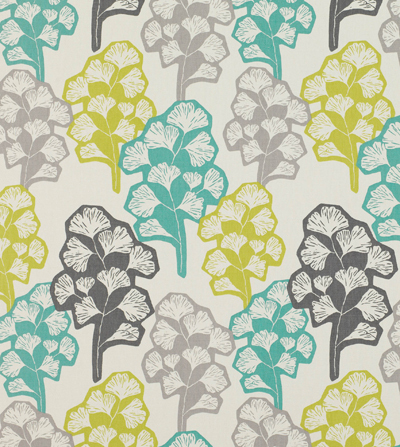 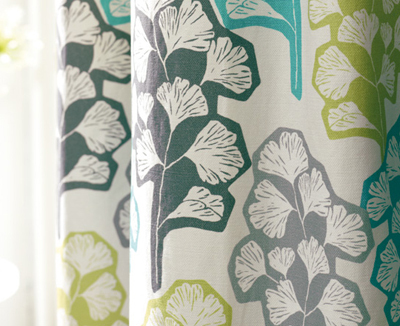 these beautifully graphic gingko leaves are from the new villa nova collection called 'mariken'. 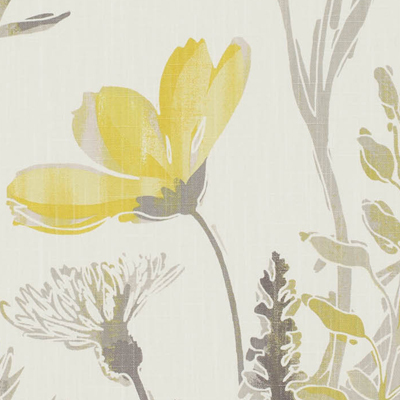 other prints also feature hand drawn flowers and grasses, a beautiful painterly stripe and complimentary daub style geometric. 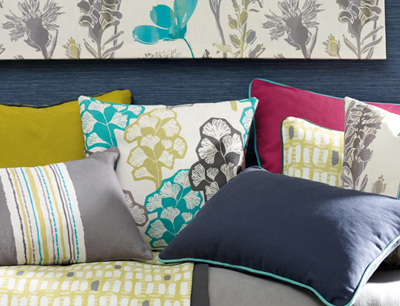 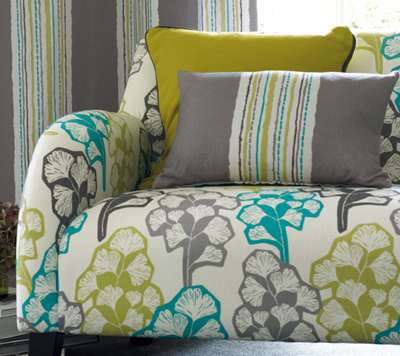 villa nova is a part of romo fabrics but operates with its own entirely seperate in-house design team and they have certainly created a beautiful collection here with mariken. 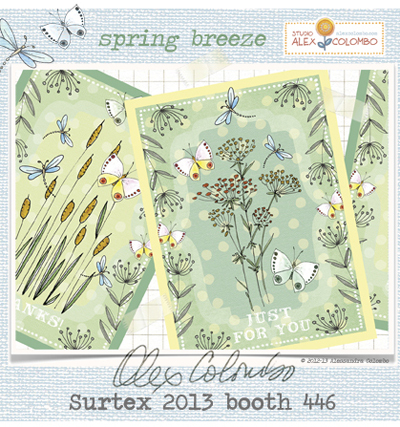 some more surtex flyers have come in. 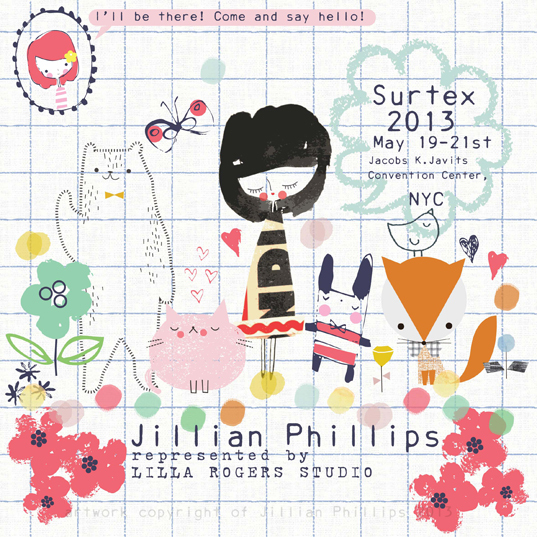 above is a gorgeous design from jillian phillips who will be attending surtex this year and shwocasing her new designs at the lilla rogers studio booth. 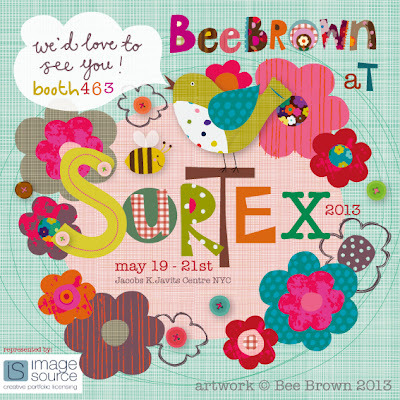 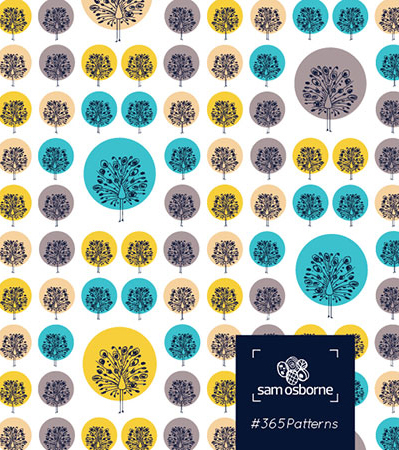 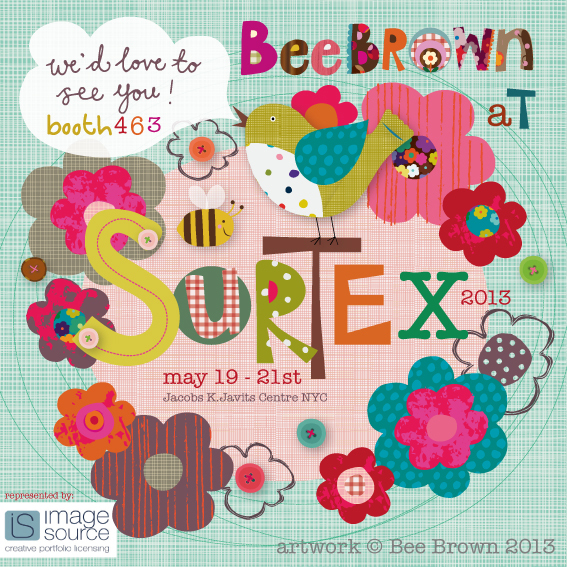 below is a lovely bright design from bee brown whose work will be showcasing in booth 463 with her agent imagesource. 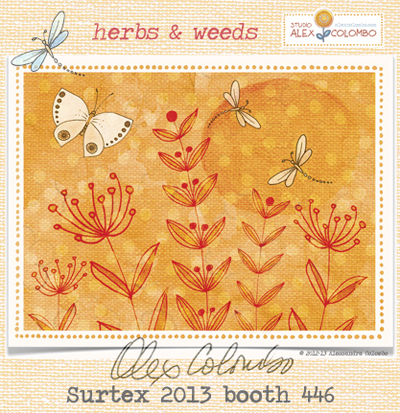 alex colombo (below) will be in booth 446 showing new collections like 'spring breeze' and 'herbs & weeds'. 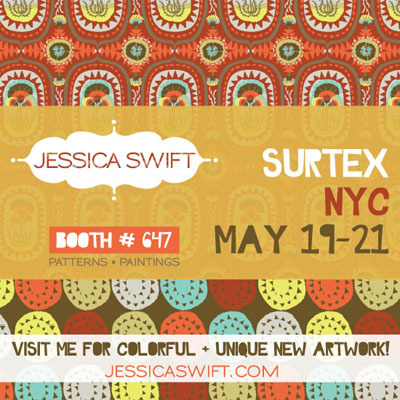 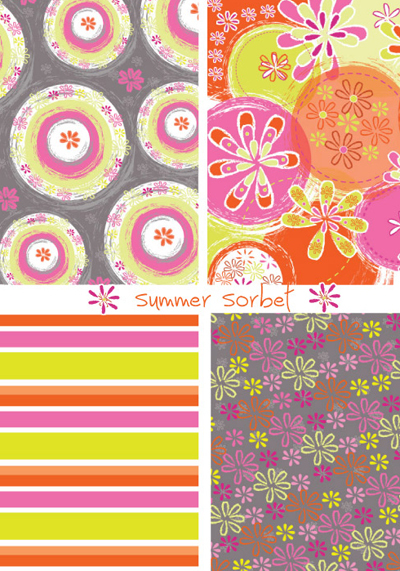 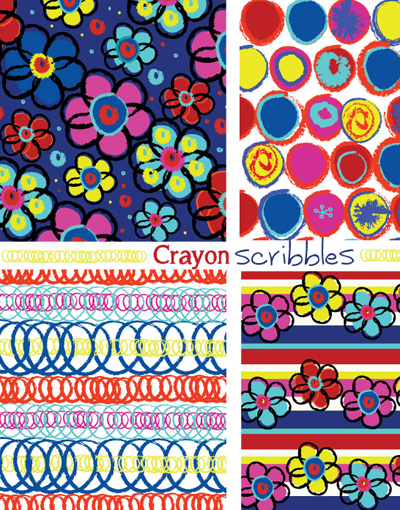 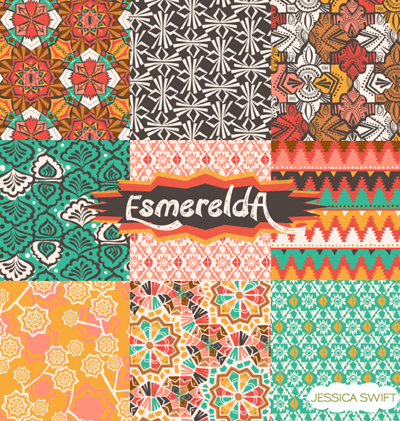 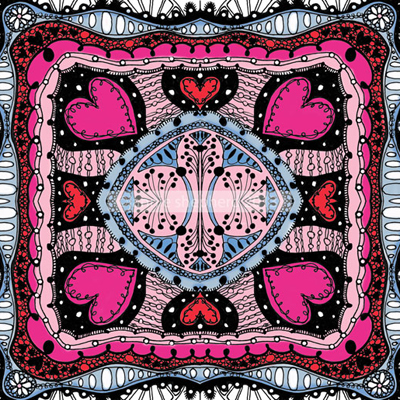 jessica swift will be at surtex this year in booth 647 with her colourful new collections. 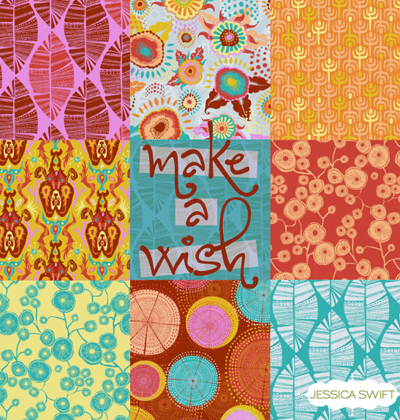 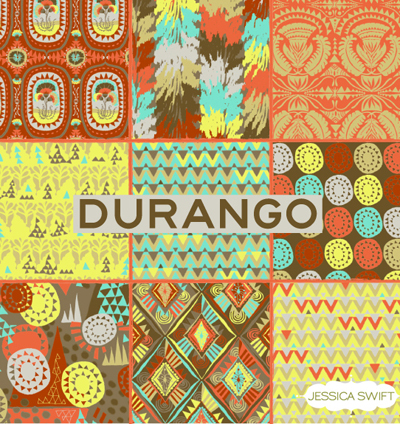 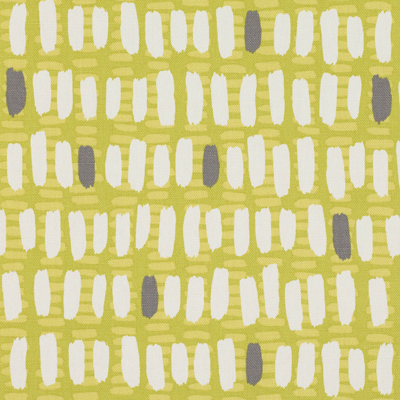 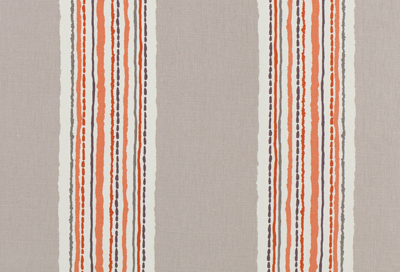 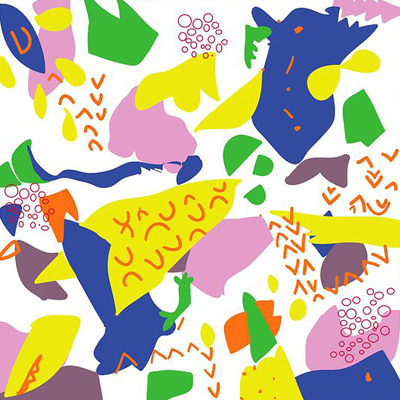 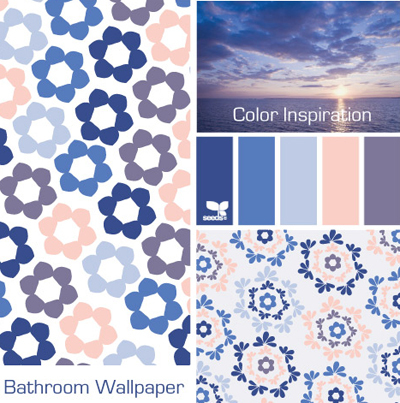 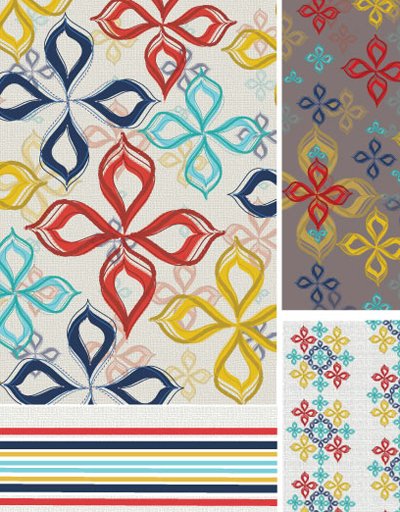 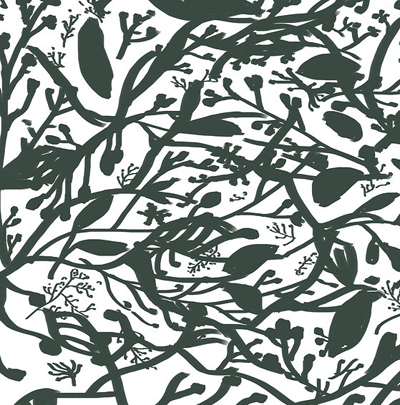 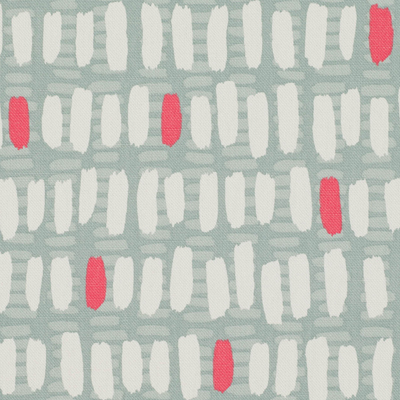 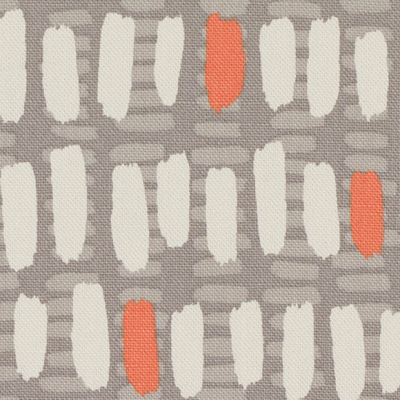 jessica is based in portland, orgeon and creates quirky fun patterns using daring colour combinations. 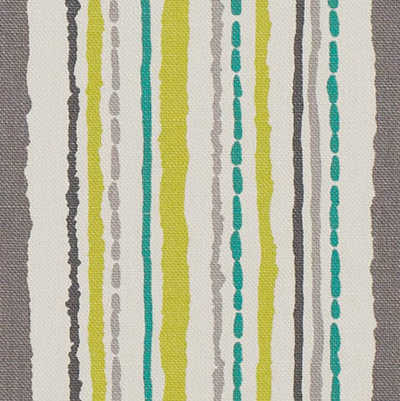 previous clients have included blend fabrics, teneues, and oopsy daisy. 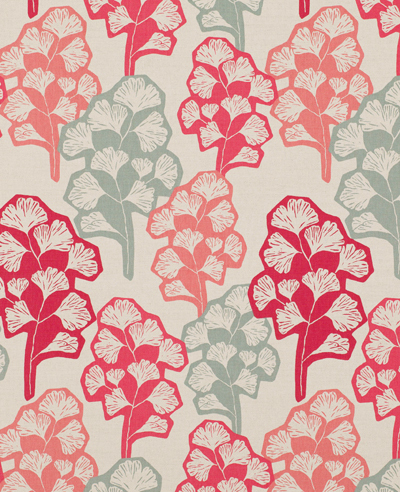 leah strenger is based in philadelphia where she is busy building up a portfolio of designs. 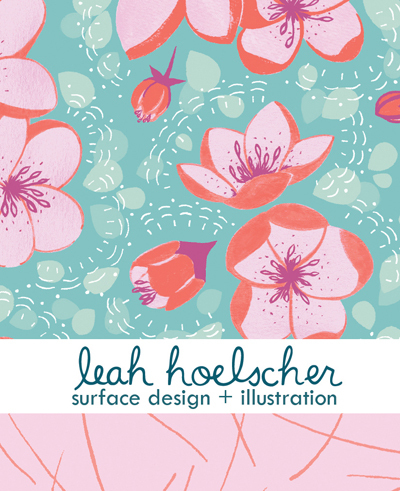 leah's background is in fine arts, and she was a printmaking major at the pennsylvania academy of the fine arts and holds a BFA from upenn. 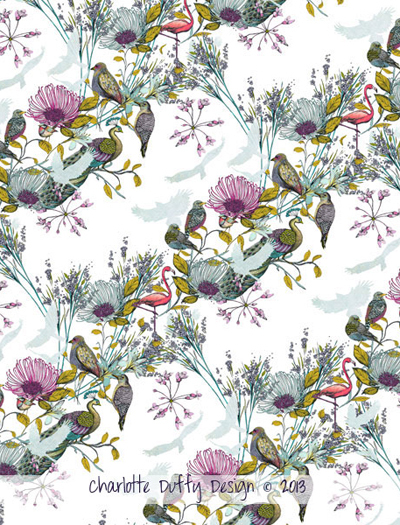 she currently works in architecture but is hoping to break into the textile industry. 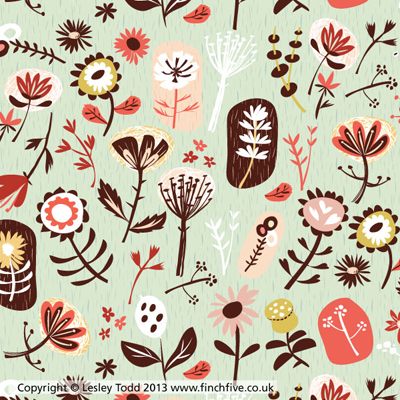 you can see more from leah online here.